Submit a qualifying Master Angler with action photo for your chance to win a $1000 gift card from Cabela’s and HuntFishMB gear! One winning photo will be chosen every month. 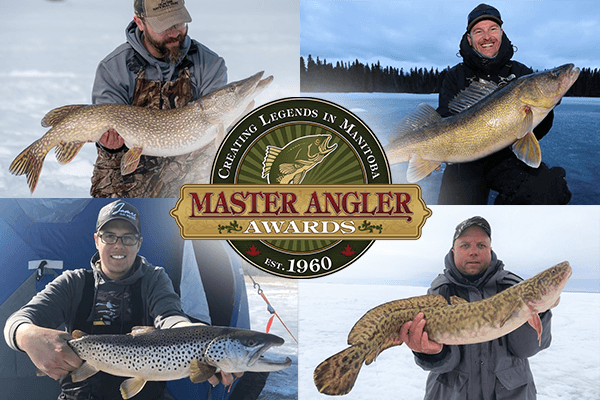 Enter at anglers.travelmanitoba.com Action photos will be judged on photo composition, showcase of the species, and the ‘wow’ factor of fishing in Manitoba. Follow our Facebook page FishAndHuntManitoba and Instagram @huntfishmb to see the monthly winners. *Fish must be caught and entered from the first to the last day of each contest month. Photos must be captured and available in high resolution (1 MB minimum), meet Master Angler photo requirements and show the qualifying fish species in good health and releasable. *Check the Manitoba Angling Guide for angling season closures and regulations for individual waters. December through April, our hard water world presents options for everyone.